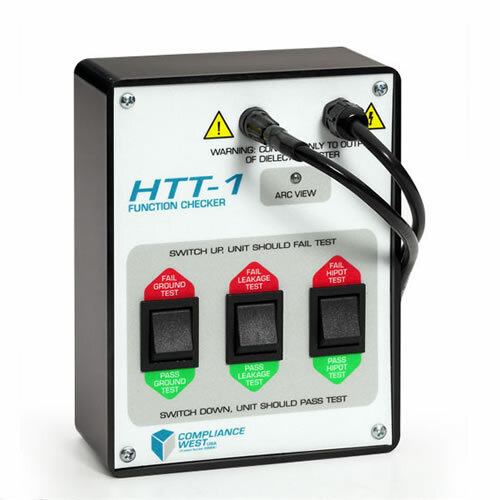 The HTT-1 was designed to provide a fast, safe and reliable way to verify proper operation of Dielectric Withstand (hipot) and Ground Continuity Testers between calibration cycles. It allows the operator to check the result of the three failure modes encountered in production hipot and ground circuit testing (open ground, high leakage current, and dielectric breakdown) separately or in any combination to verify proper test equipment operation. A passing test can also be simulated. 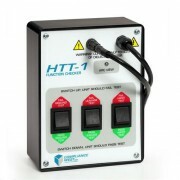 The test leads allows connection of the HTT-1 to any hipot tester using a standard NEMA 15A receptacle and banana jacks to allow direct connection to the hipot/ground bond tester(s) using their cables. The manual contains anticipated results and suggests testing procedures. 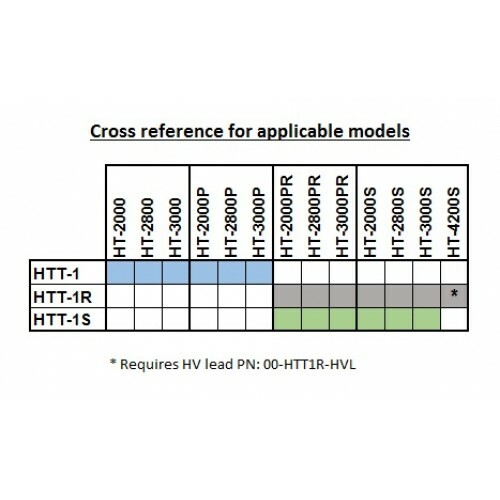 The maximum voltage the HTT-1 can test is 2000Vac/3000Vdc.